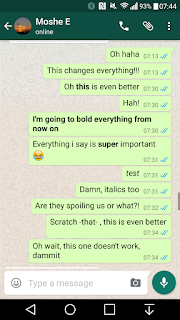 WhatsApp for Android brings a couple of amazing and useful features to its app. 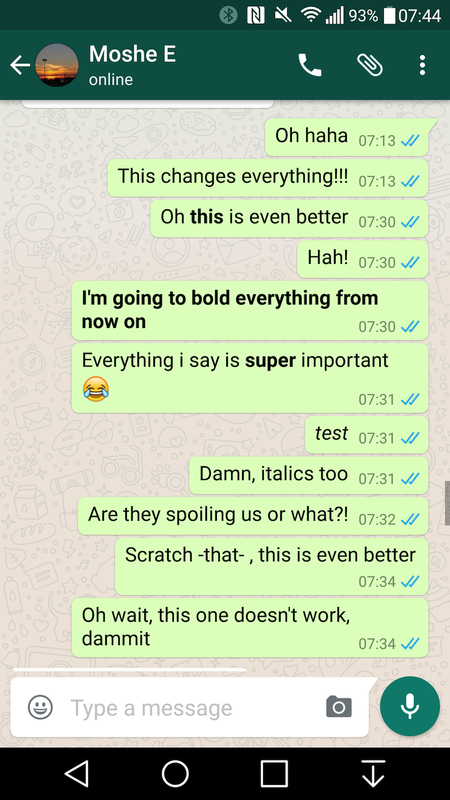 The app now lets you format the text into bold and italic. 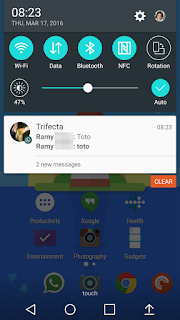 This feature will be very useful when you want to focus on some word and tell your friend something important. To make a word or a line bold, just put the bold text *between asterisks* and the italics _between underscores_ and you should see the formatting on your device. 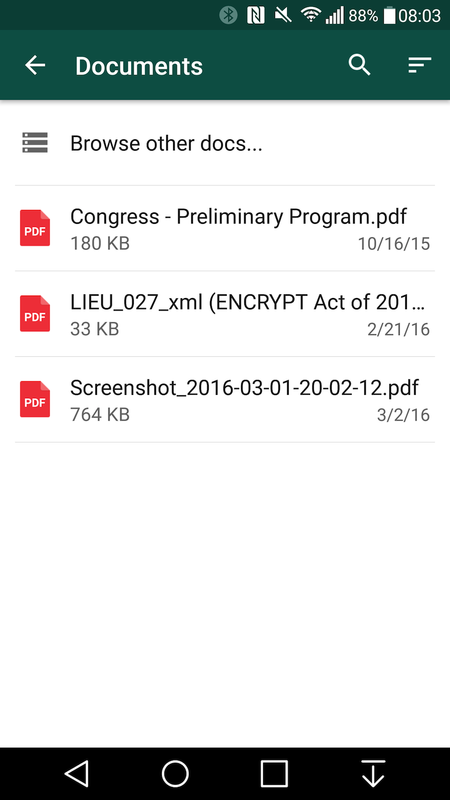 A few days back, WhatsApp introduced document file sharing and today it expanded the feature with an amazing and much-needed improvement. 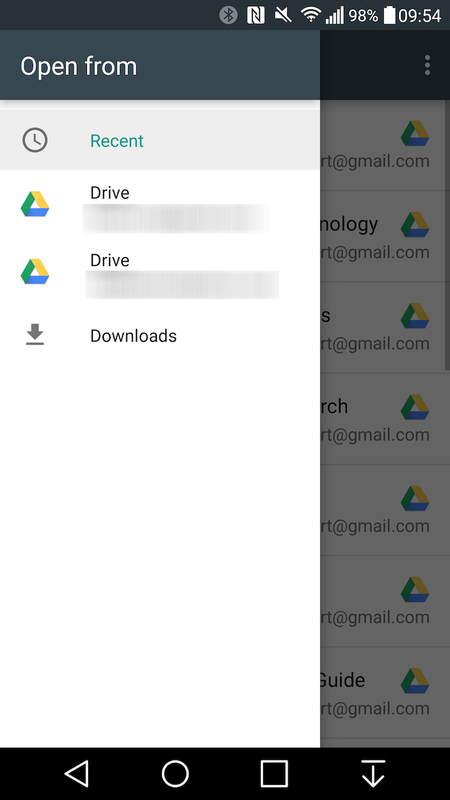 It now lets you share a document through Google Drive. 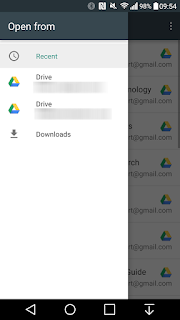 You can select a PDF, Word file or PowerPoint presentation file from Google Drive. 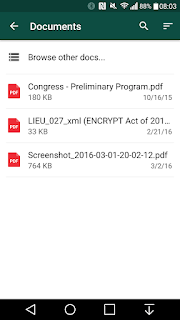 Although, all of the files will be automatically converted to PDF format before sending it to other users. 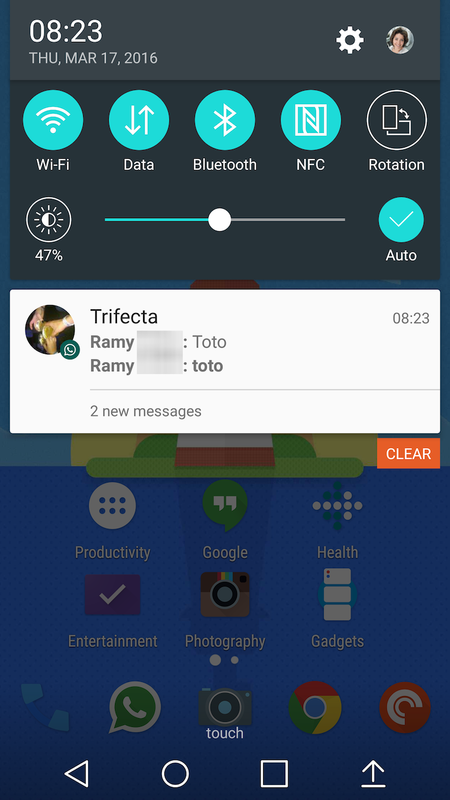 Another feature is added to the WhatsApp which makes it less annoying when backing up the chats to local storage. It will now show a progress percentage whenever an automatic local backup will be triggered. This will give the idea that how much time will it take to backup the apps and reply to another person. All of these features are available in version 2.12.535 of the app and it can be downloaded from APK Mirror or you can join their Play Store beta program or to manually download the APK from APK Mirror .